Redding might be the largest city in the Shasta Cascade region of Northern California, but that doesn’t mean you’ll find the crowds that you think of when you hear “California.” In fact, this area makes up the 20 percent of the state’s landmass but has only 2 percent of its population, which means the surrounding forests and mountains are rural and roomy. Located right off I-5, it’s easy to get here and easy to navigate around the city, making it the perfect base camp if you’re looking for a comfortable place to lay your head at night after a long day of adventure. It’s a fantastic place to reconnect with your inner explorer and spend plenty of time in the outdoors. And all adventures in and around Redding will likely lead you back to the water. Whether you crave the thrill of plunging through class V whitewater rapids, paddling around at your own pace on calm lakes, or jumping in a chilling pool at the base of a waterfall, Redding has something for every type of water adventure. Here are a few of our favorite water activities for thrill-seekers and sun-soakers alike. Shasta Lake covers a whopping 30,000 acres and is the most prominent natural landmark in the area behind the iconic 14,180-foot Mt. Shasta. Watercraft of all shapes and sizes can be rented here, from jet skis to stand-up paddleboards to speedboats. The lake’s sparkling blue waters seem even more vibrant thanks to the red soil of the lake’s shoreline, and its fingerlike channels make it easy to feel like you are on a much more private lake while boating. For a once-in-a-lifetime experience, leave the rental kiosks behind and book a tour of the Lake Shasta Caverns. You’ll be picked up by a catamaran for a quick ride across the lake and brought to the 200-million-year-old caves for a guided tour. 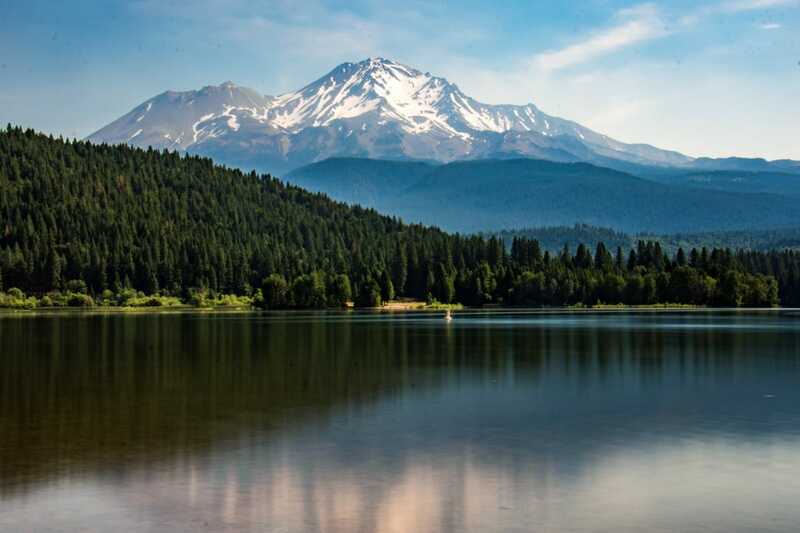 Lake Siskiyou is known for its waterpark and surrounding mountain views. You’ll feel like a kid again at the Lake Siskiyou Camp Resort Water Park as you slide and jump into the water off the inflated playground. In addition to human-powered crafts, you also can rent party barges for the day for anywhere from four to 20 people—perfect for family gatherings and special occasions. Lake Siskiyou is also an excellent spot for windsurfing if you want to kick it up a notch with a little more adventure. 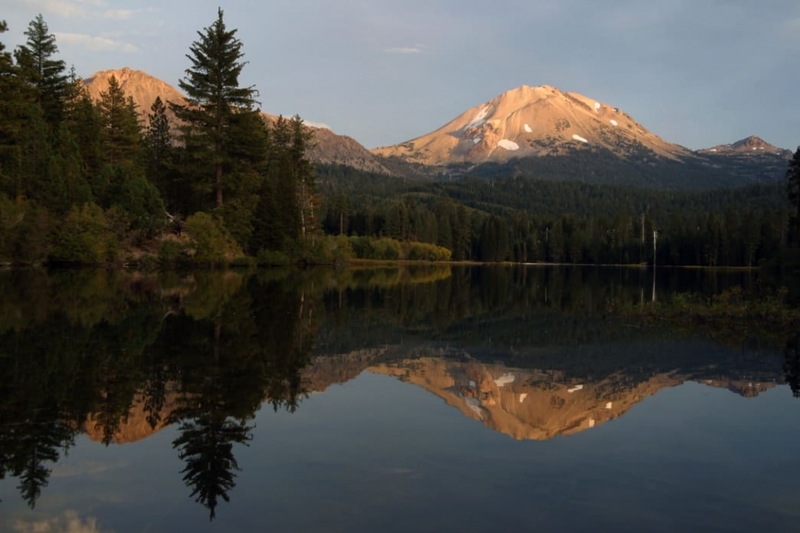 Just like the region’s lakes, the three rivers that flow through or near Redding offer diverse experiences that are each memorable in their own ways. If you are a thrill-seeker, there’s nothing more exciting than running the Trinity River (with an experienced outfitter, of course). The class V section known as Burnt Ranch Gorge features several drops and high consequence rapids. If you’d like a little more whitewater experience before jumping in, the class III Pigeon Point stretch of river is just as scenic and heart pumping. The class III-IV Upper Sacramento can be just as thrilling as the Trinity, but if you prefer a more mellow float to the turbulent rapids, it’s easy to find class II ripples on the section that flows right through Redding. The most popular route for tubers or casual rafters on the Sacramento starts in Redding and takes you under six bridges as you and your river companions slowly float to the city of Anderson. Keep an eye out for the brilliantly white Sundial Bridge, one of Redding’s premier attractions (and is actually a functioning sundial). If you take this route on your own, be sure each member of your party wears a personal flotation device for safety. 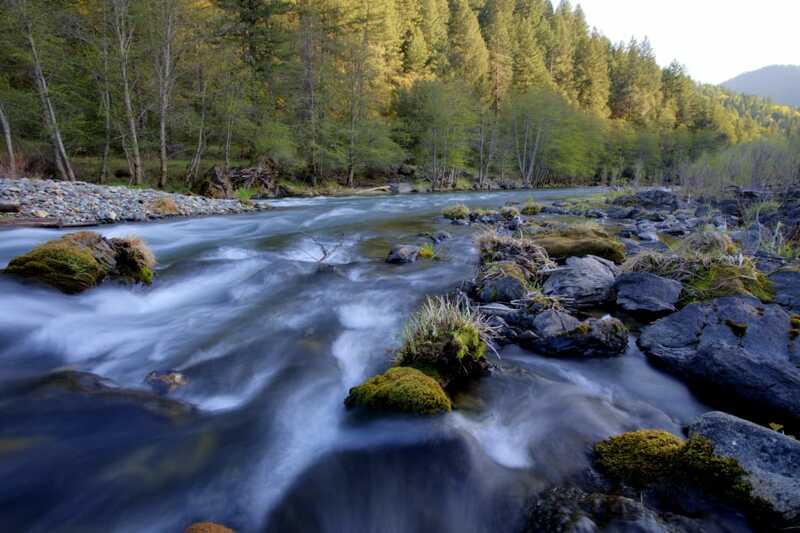 The McCloud River is famous for its beautiful waterfalls and swimming holes. The best way to experience them all is to walk along the 4-mile McCloud River Falls Trail snaking along the river. From the trail, get up close and personal with the Lower, Middle, and Upper Falls, a trio of incredible cascades tumbling out of the mountains above. The Lower McCloud Falls features one of the best swimming holes in the area, and daredevils regularly jump off the surrounding rocks into a pool at the waterfall’s base. It’s also an excellent fly-fishing destination, with many outfitters available to help you find that perfect spot. No matter how you enjoy your time on the water, it doesn’t take long to find a scenic place to do it in and around Redding.